The Best Hog Roasts In Birmingham! Welcome to Spitting Pig Midlands. We are an event catering company specialising in hog roast catering in Birmingham and all around the Midlands. 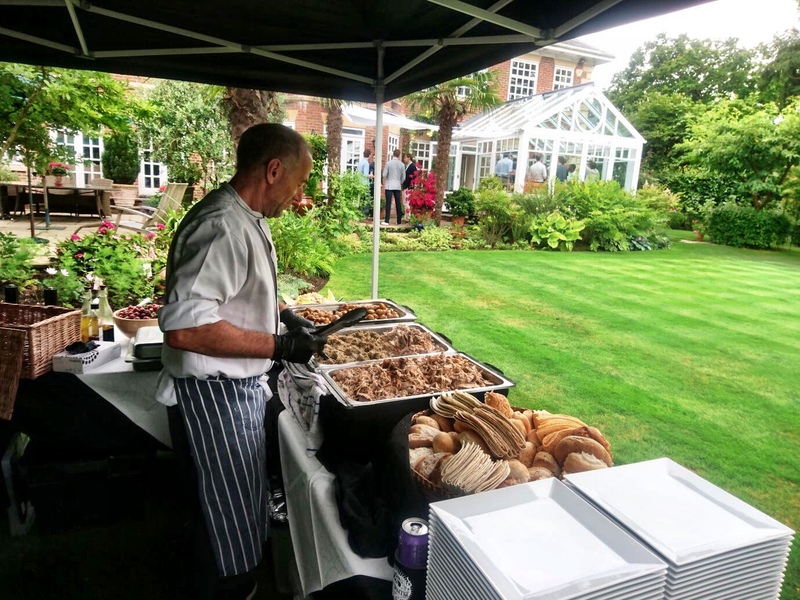 We can cater for any type of event, be it a hog roast birthday party, corporate hospitality in Coventry or even a hog roast wedding reception in Wolverhampton. 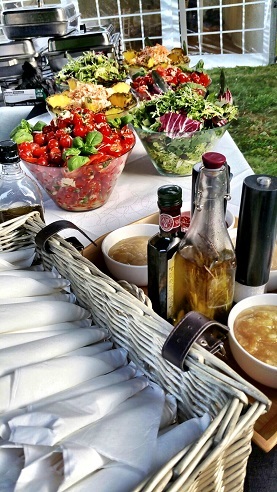 If you’re looking for a great caterer, you needn’t look any further. At Spitting Pig Midlands, we are renowned for our quality of service. We put a lot of thought and effort into your event and we always have an eye for detail. That’s why if you choose us as your caterers, we will ensure everything runs smoothly. It doesn’t matter to us what type of event you are planning, whether it’s a large gathering of family and friends or something a little more intimate, we will use all of our experience and expertise to take care of your needs. You can be assured of quality, as all of our pigs are reared and sourced from local farms, meaning with us, you’re getting guaranteed freshness, quality of taste, and the very best of British. So dedicated are we to your event, we ensure that you are never left wanting. 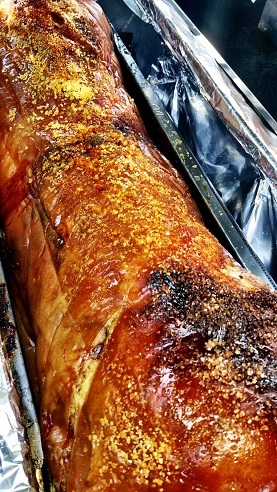 Our catering team will make sure that all your hog roast catering needs are covered, whether it is our delicious light and crispy crackling, our fresh crispy salads or our piping hot winter warmer menus, we will always strive to give you the perfect hog roast with the perfectly presented accompaniments. We will even tailor our menus to suit your party. Our Rugby hog roast machines hire service is very adaptable, and can cook more than just pigs. Our classic pig in a bun is something not to be missed, but you can also cook chickens, steaks, burgers and hot dogs, or any other traditional barbecue food for that matter. We are more than just a hog roast catering company. You may find that the weather isn’t good enough for you to enjoy a barbecue anymore, so why not let us take care of Christmas dinner? We can roast that Christmas turkey for you, and put on a wonderful spread of food for you and your guests, leaving you to relax whilst we do all the hard work. At Spitting Pig Midlands, and indeed in any other of our locations, we have absolutely no limitations. It doesn’t matter where you may live, if you are accessible by road (or even sea and air!) we can cater for every one of your needs. If you have any queries or concerns, please do not hesitate to ask, we will be more than glad to help. Booking with us you are going to receive the highest quality service around, and you will have an experience you won’t soon forget, and one that you are going to want to tell your friends about for weeks to come. Call hog roast Birmingham today, and let the best take care of the rest. 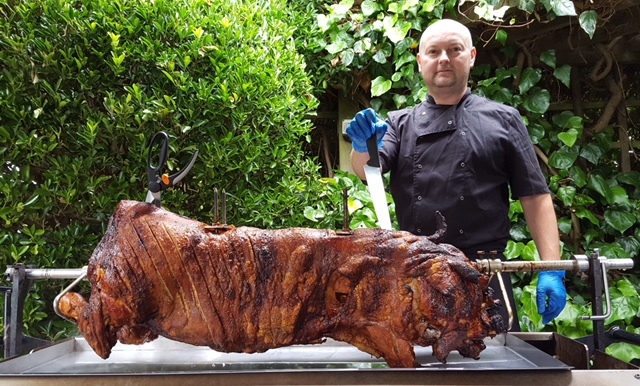 When it comes to hog roast Birmingham catering we are the experts and we are keen to share the joy of hog roasting with all of our customers. This is why we also operate a Birmingham hog roast machine hire service. So if you fancy having a go yourself you can do one on our professional reliable machines. Please see our special machine hire information page if this sounds like your kind of thing. If you prefer to let us do all the hard work for you then you are in luck as our catering service is second to none. We have a great choice of menus specially designed by our in house chefs so if you fancy a simple hogroast or a barbecue with all the extras or perhaps you had a four course sit down dinner in mind. Whatever you are planning we have a menu to suit your requirements. Making an enquiry with us could not be easier. You can call or email the office and our catering sales team will be more than happy to discuss exactly what you want and use their expertise to advise you on the best options to suit you and your event. So don’t delay get in touch with us today and let The wonderful hog roast Midlands service begin. We promise you won’t be disappointed.